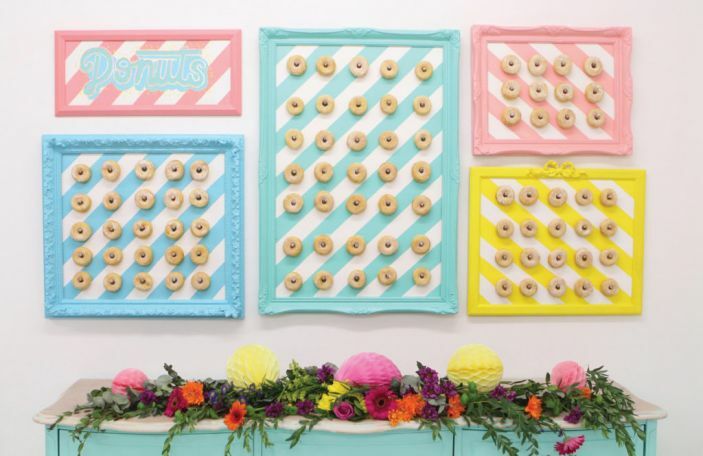 If you aren't 100% in love with the table décor your venue has to offer then there are ways to dress it up. 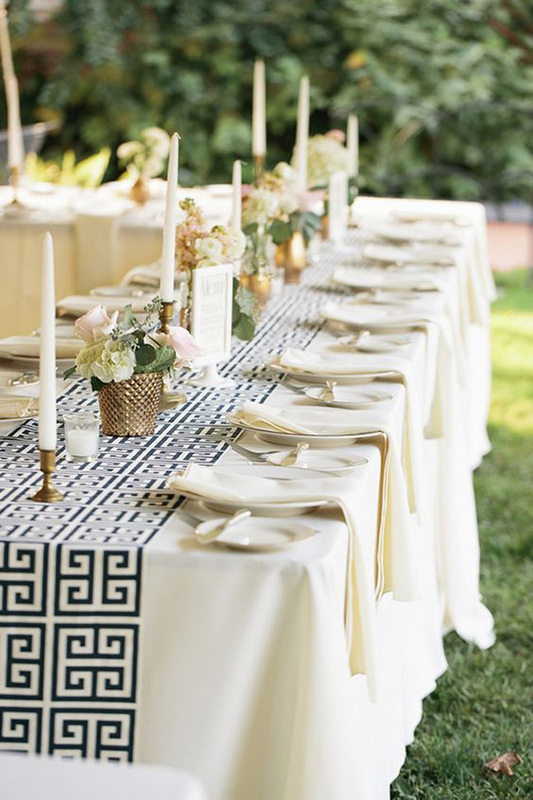 Adding table runners and some personal touches can transform your drab white tablecloths into something extraordinary. 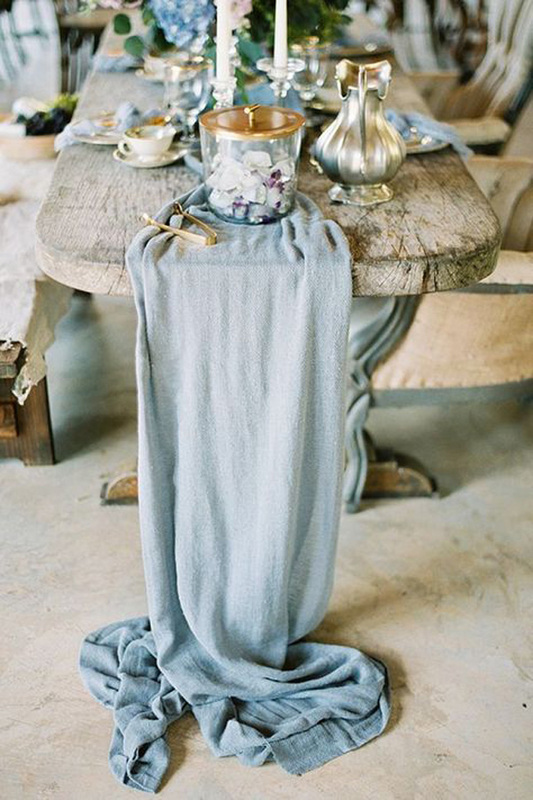 Or ditch the cloths altogether and let the table runners speak for themselves. Trust us, you won't be sorry. 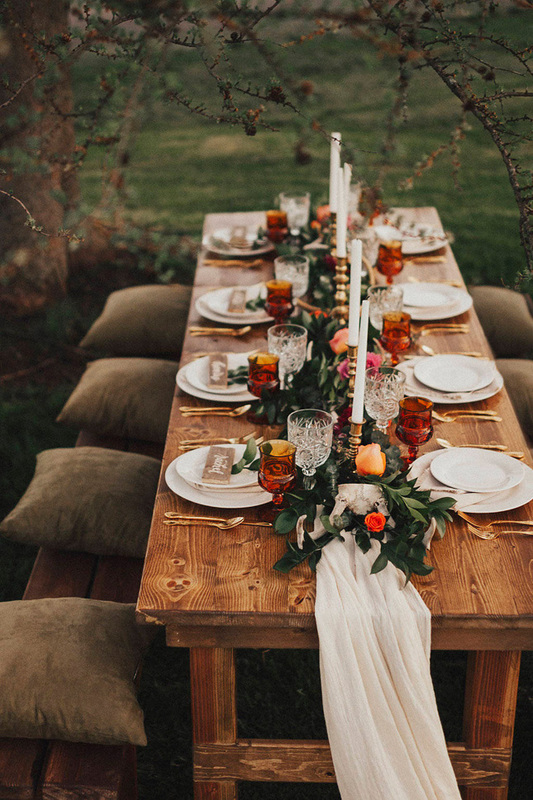 Below are nine gorgeous table designs that are sure to give you some serious décor inspiration. For those of you opting for a softened look on the day. 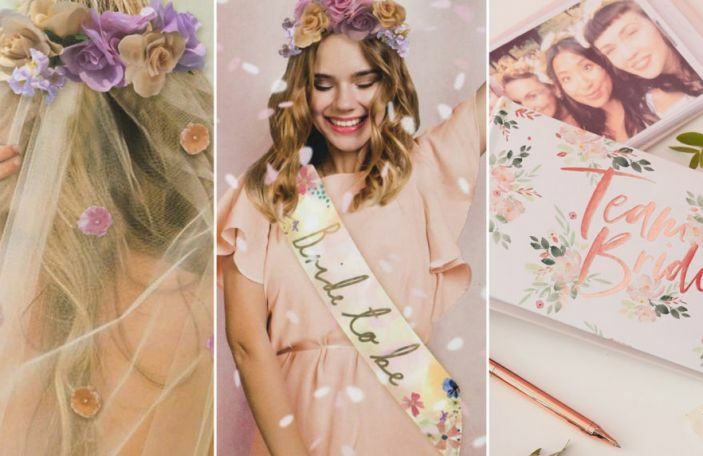 The watercolour trend is only getting more popular. 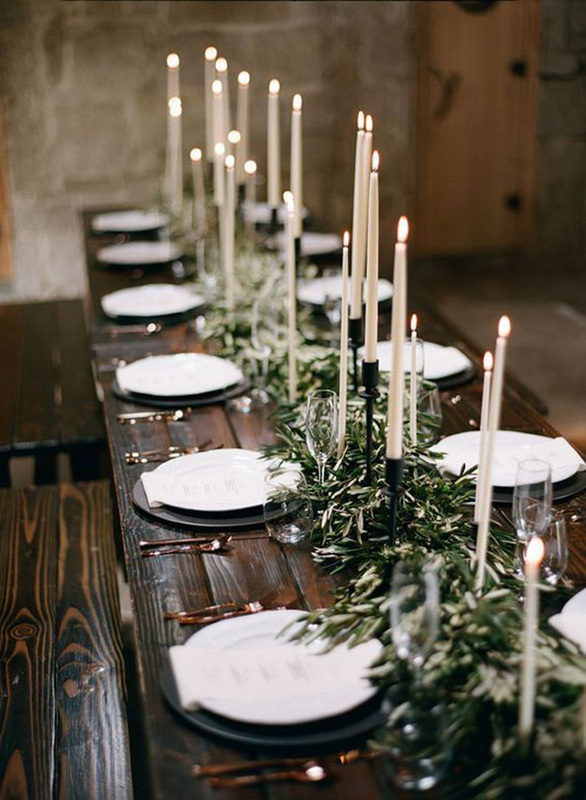 Incorporating it into your table décor is a new take on this beautiful and artistic trend. Rather than adding too many frills to your décor, keep it fresh and just use some beautiful greenery to adorn your table. This design is inspired by the beautiful decadent vibes of the Mediterranean. 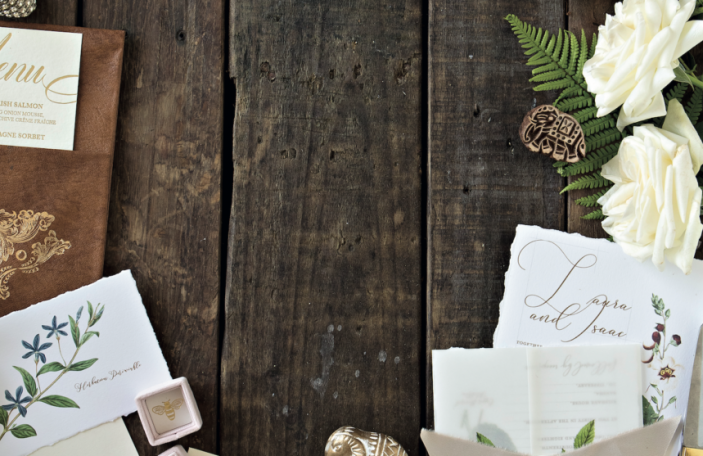 Ideal for destination weddings or weddings with a destination feel to them. 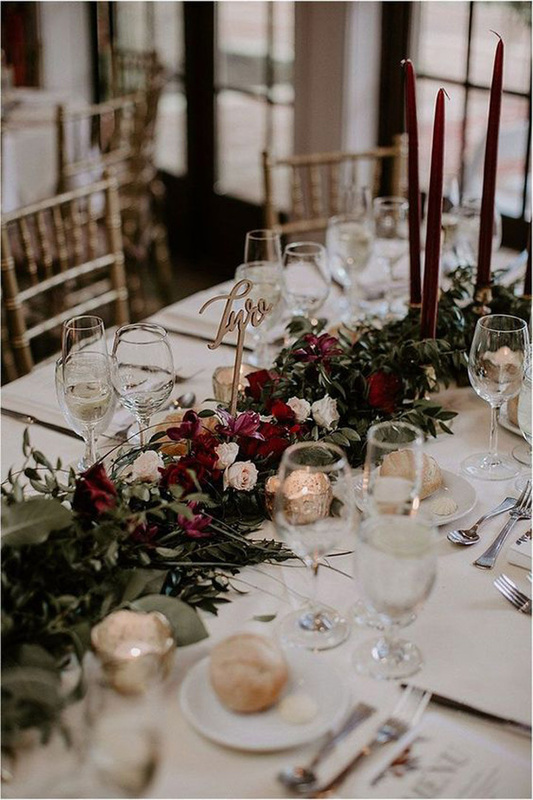 For couples looking to achieve a moody, autumnal vibe, a fully floral table runner incorporating tones such as burgundy and deep greens will set the tone. 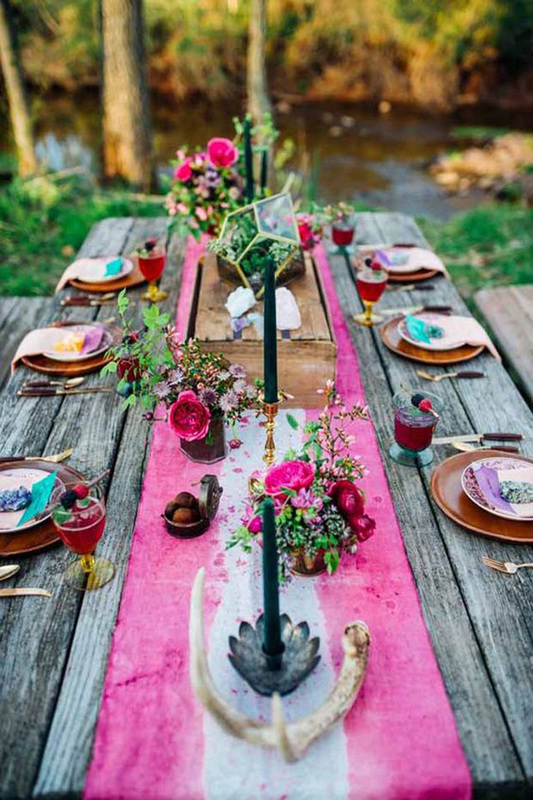 This table setting is fun, bright and boho. Table runners in a bold colour will catch the eye, especially if paired with equally as bright place settings. We're into it. 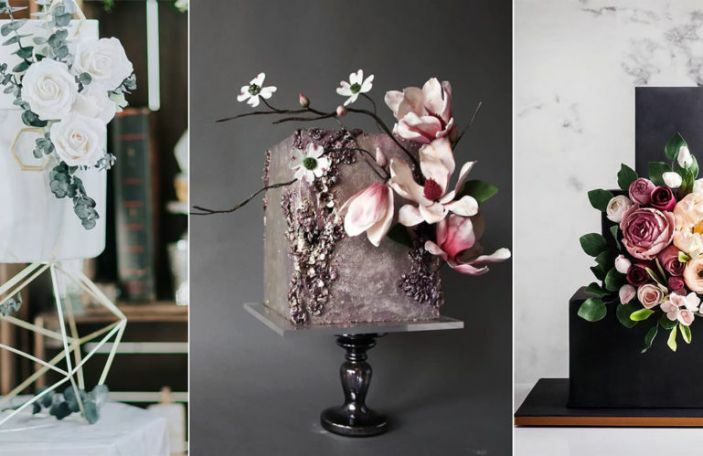 Why do we have to choose between flowers and fabric? 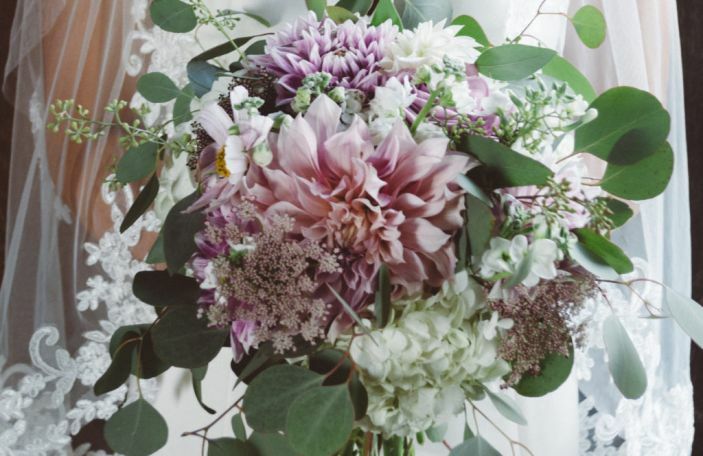 By adding a layer of chiffon or silk beneath your flower garland you are creating a beautiful, elegant table setting. Pun intended. 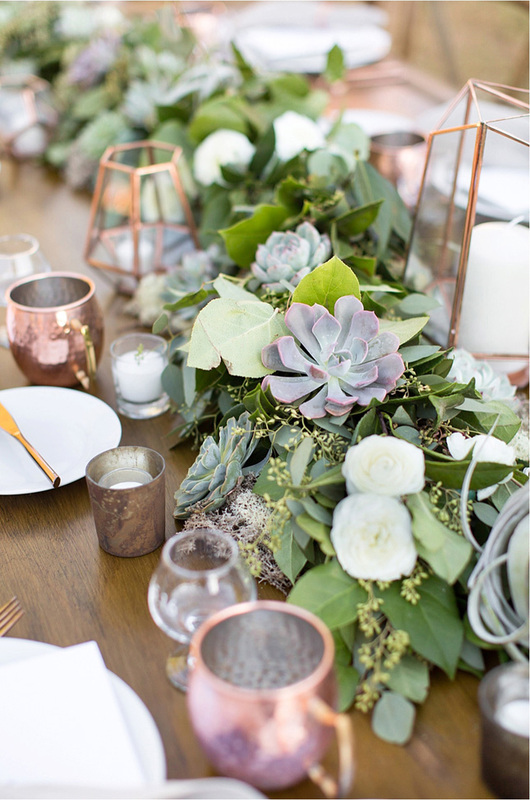 Succulents have been used in bouquets and adorning tables in many a wedding. 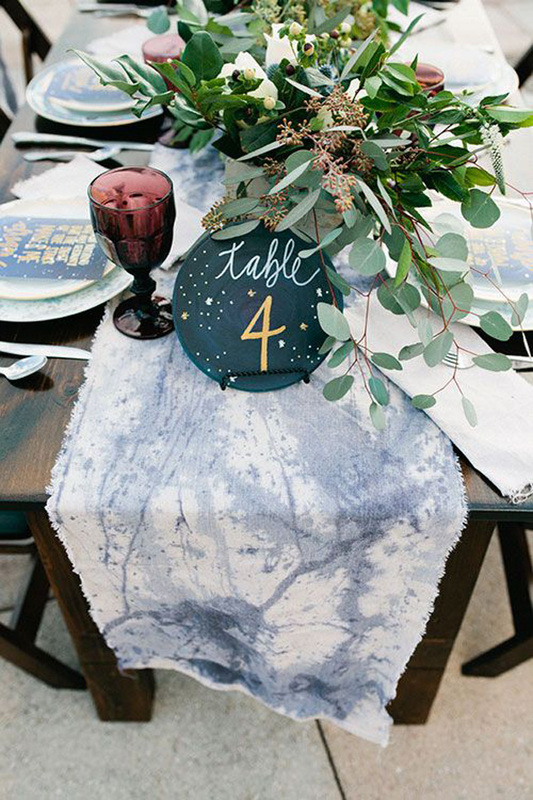 For next-level décor amazingness, we're loving the idea of creating table runners out of succulents. 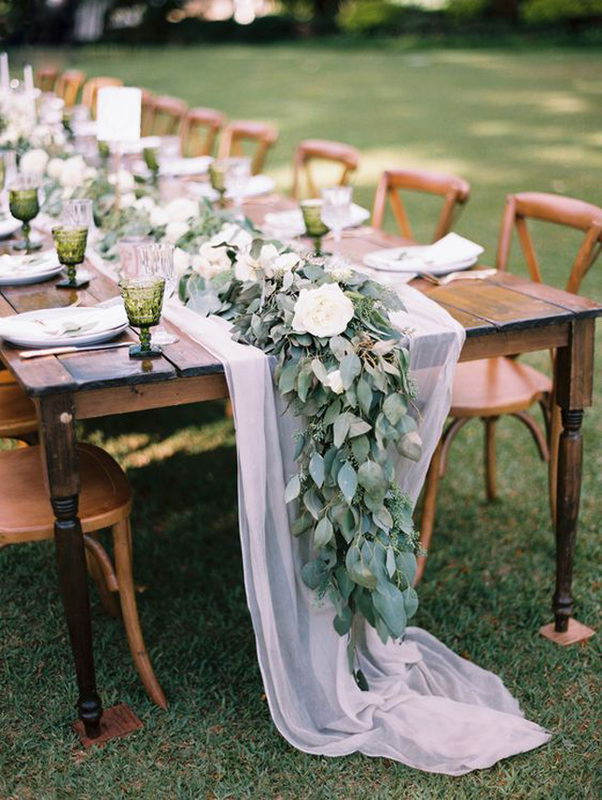 We're ditching the white tablecloths but we aren't ditching the white table runner. 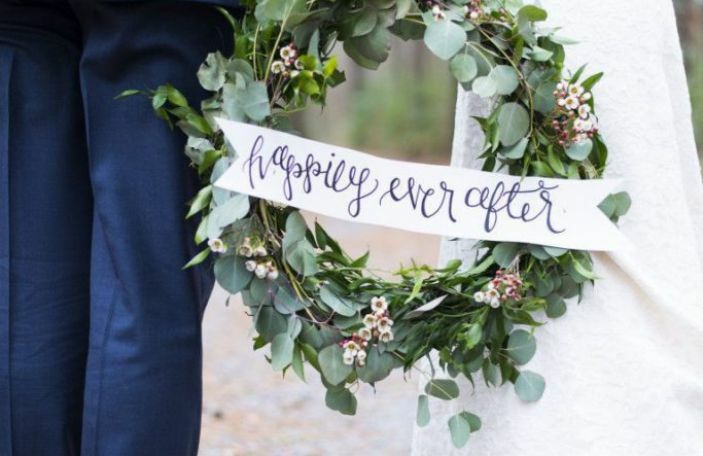 White will always be elegant so we're on board with using that as your base and adding layers of colour and florals to liven it up.